On this day, when Canadians gather to celebrate our country, I will place my pride not in who we are, but in who we can become. 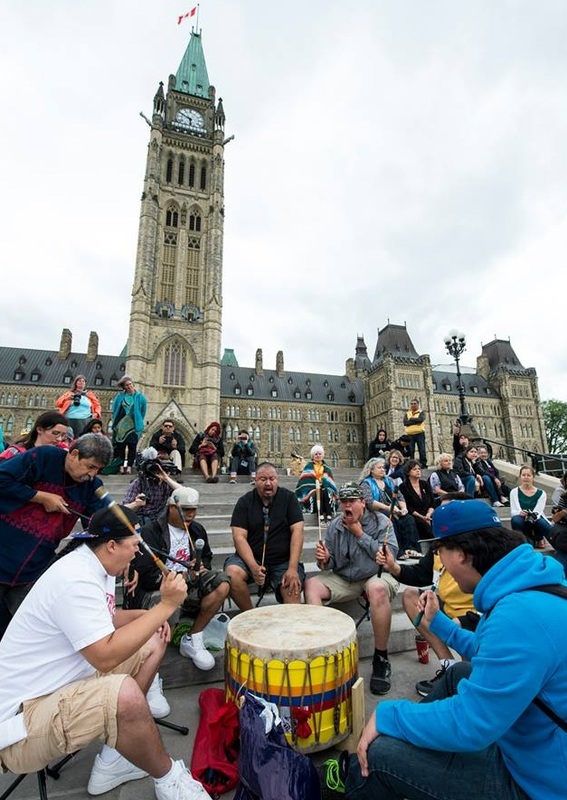 With the release of the Truth and Reconciliation Commission of Canada’s Call to Action summary report, we have a glimpse into the history many did not want to know, and a vision of a future we must strive to realize. I offer my deepest expression of gratitude to the survivors who in their courage peeled back a façade. We now know how churches and governments collaborated to extinguish language, culture, and identity of Indigenous children, breaking bonds of family and community, contributing to a separation of people from the land, while suppressing the spirituality that celebrated that connection. We now know that children died preventable deaths, some further dishonoured by unmarked graves. We now know that this has led to generational trauma that continues to this day. Because of survivors’ courage, we now know. Because of their resilience we all have a chance to heal. Because of their profound confidence in the power of the human spirit, our children and grandchildren can believe in a future of mutual respect. I offer my strongest expression of appreciation to the Commissioners – Justice Murray Sinclair, Dr. Marie Wilson, and Chief Wilton Littlechild—for the sacrifices they made to hold this national conversation, to have these truths revealed to a reluctant country. I heard them describe cultural genocide. I heard them speak of graveyards instead of playgrounds. I heard them describe the deep wounds within families that need to be reconciled. And I also heard them say resilence. Spirituality. Self-respect. Mutual respect. Contribution. Action. Reconciliation. Because of their sacrifices, we have a way forward–a clear path to a transformed country. At KAIROS, we believe that transformation is possible. We see hope every day. In young Indigenous leaders who claim their voice and pull us, all of us, towards a more just future. In non-Indigenous children who refuse to tolerate inequity and are committed to bring about tangible change. In elders who against all odds are passing on language, culture, teachings and spirituality. In Indigenous people of the South uniting with Indigenous people in Canada, helping us to understand that the struggle is global and that solidarity can flow in many directions. In new immigrants embracing treaty responsibilities and refusing to perpetuate myths and stereotypes. In settler Canadians craving education and change. In communities united to protect their watersheds and build relationships of respect and sharing that reflect the original treaties that are the foundation of Canada. At KAIROS we believe that transformation is possible, because we have faith, and we can see hope made real. We believe transformation is possible because we are seeing it happen within our organization, and amongst our members and partners. We are seeing old relationships change and in so doing become stronger, and new ones being formed. One by one. The Truth and Reconciliation Commission Calls to Action – principled, comprehensive, accessible – deserve more than superficial or cynical acceptance. They deserve our careful reading, our study and questioning, our embrace of their challenge, our discernment of our accountabilities, and ultimately our persistence towards action. Almost 20 years ago, the Royal Commission on Aboriginal Peoples offered a glimpse into our past and a vision for the future. Our great failing was that so many, too many, did not have ears to hear the information it contained or eyes to see the vision it held. In the intervening 20 years we have learned and unlearned, and we believe that many have changed. This Truth and Reconciliation Commission report will not be shelved because Canadians will not allow it to be shelved. It is too important. There is still much work to do, much to unlearn and learn, but this time it will be different. It must be different. Today, inspired by Indigenous leadership – young and old – we can express our pride in who we could be, who we should be, who we must be. We can join our hands and heart to every Canadian – Indigenous, settler, newcomer – who pledges persistence until together we have formed a country that we can be proud of. Persistence until we have a country where the contributions of First Nations, Inuit and Métis people are honoured, where justice is done, where every child can expect equity and respect, and where language, culture and identity are gifts to be shared. Let us commit to our own change, to contribute to that of our churches and communities, to show possibility in action, and to not let go. Follow KAIROS on Twitter and Facebook, between Canada Day and Thanksgiving, as we detail each of the #94calls2reconcile and encourage all to #ReadTheTRCReport.